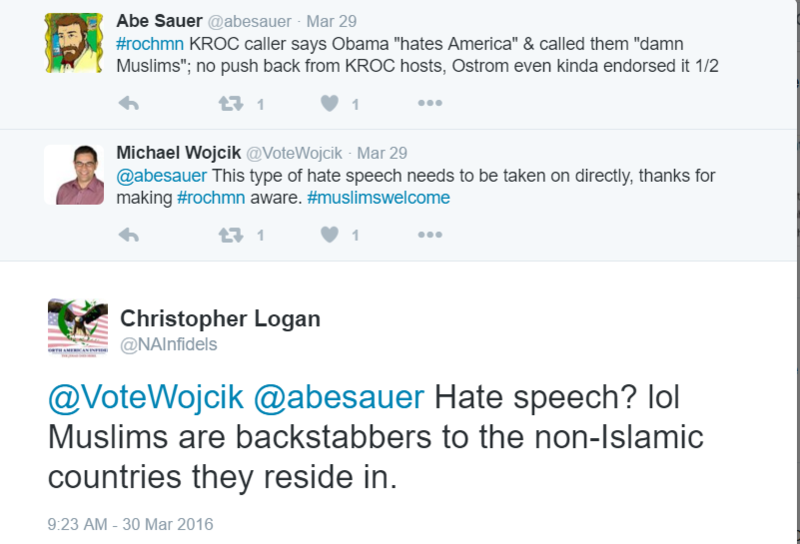 US Elected Official Reports me to Southern Poverty Law Center! I was a bit bored this afternoon, so this was a welcome laugh. 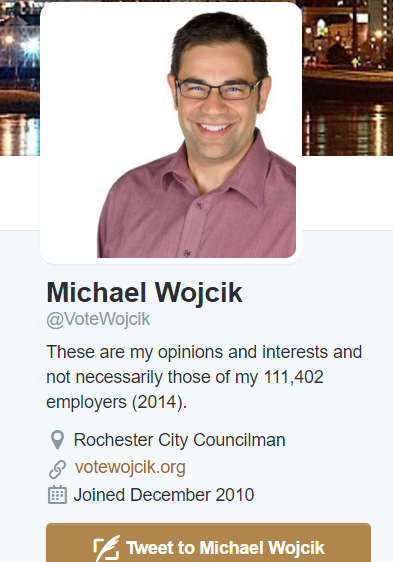 Earlier today on Twitter I had noticed the following absurd Tweet from Rochester City Councilman Michael Wojick. Notice how he did not say a word about the verse itself. But in a failed act of intimidation immediately tagged the far-left hate group The Southern Poverty Law Center. 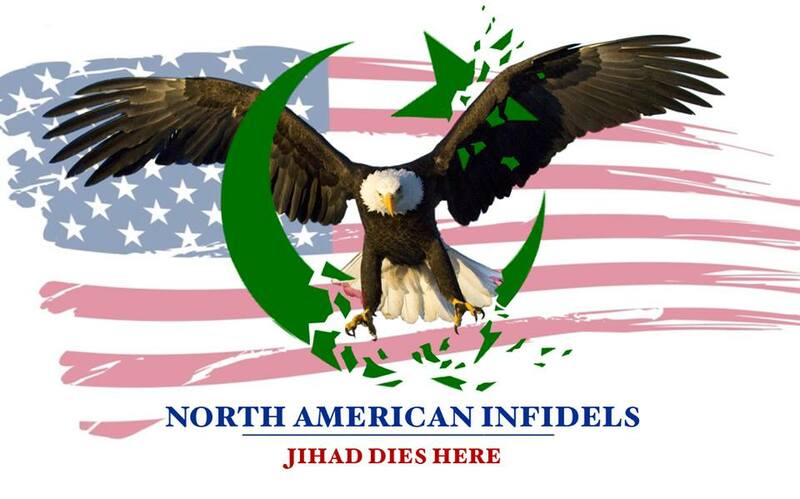 Which has Frank Gaffney, Pamela Geller, and Robert Spencer listed in their “Extremists Files”. Which just shows how hypocritical they and the Councilman are. Because Islam itself is hate-speech and extremism. 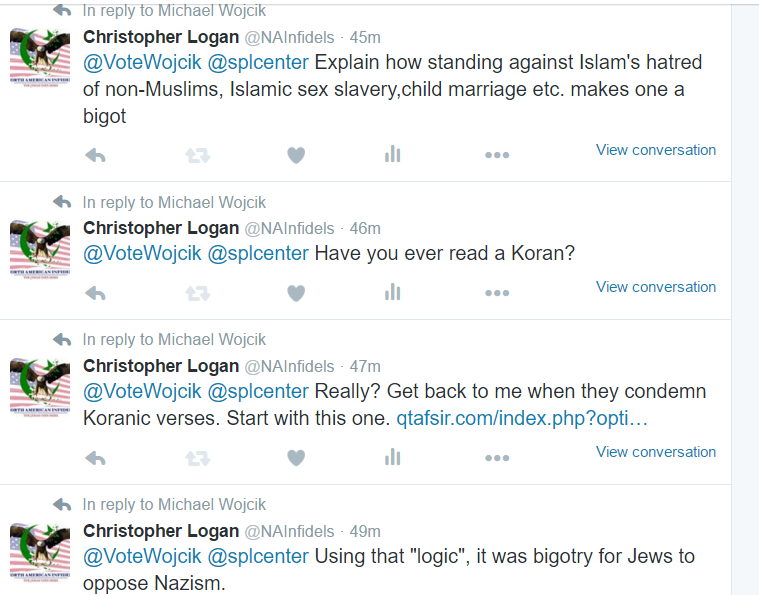 Of course when I challenged him on the issue, he had no answers. 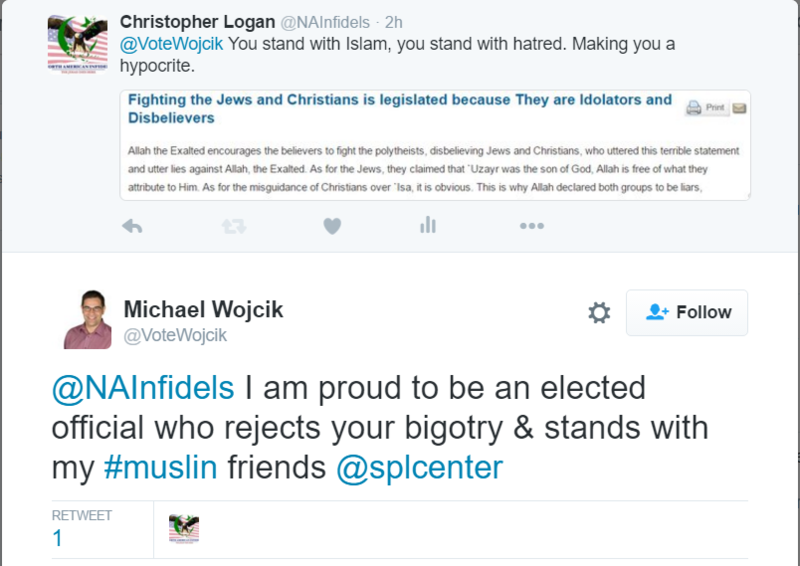 The Councilman, just another #usefulidiot to Islam. ← Logan’s Warning Vs. The Ahmadi Caliph Hazrat Mirza Masroor Ahmad!